The first round displayed all you need to know about Petra Kvitova; she eased through the first set and served for the match in the second set, but ended up having to beat Coco Vandeweghe in three awkward sets, 6-1 5-7 6-4. For Kvitova, a win is a win and I always remain hopeful (yes I am deluded) that she can find that 2011 form again. The 2nd round presents a very dangerous opponent in Yaroslava Shvedova, who pushed Serena hard in a stunning 4th round clash at last year’s Wimbledon. The Kazakh has been out injured since Roland Garros, but she managed a comfortable, drama-free win over Kiki Bertens in the first round, 6-4 6-3. At the beginning of the season, Shvedova went on an incredible run of losses that saw her lose six matches in a row including five three-setters. Since Stuttgart, she has turned it around, but she remains a very fragile player mentally. I expect this match to have a lot of changes in momentum and feature a mixture of stupendous striking and maddening mistakes…. Kvitova just gets the edge for me. Caroline Wozniacki to beat Petra Cetkovska in 3 sets – Cetkovska crushed Donna Vekic in the first round and if you are looking for a match to have a risky punt on, this is the one for you. 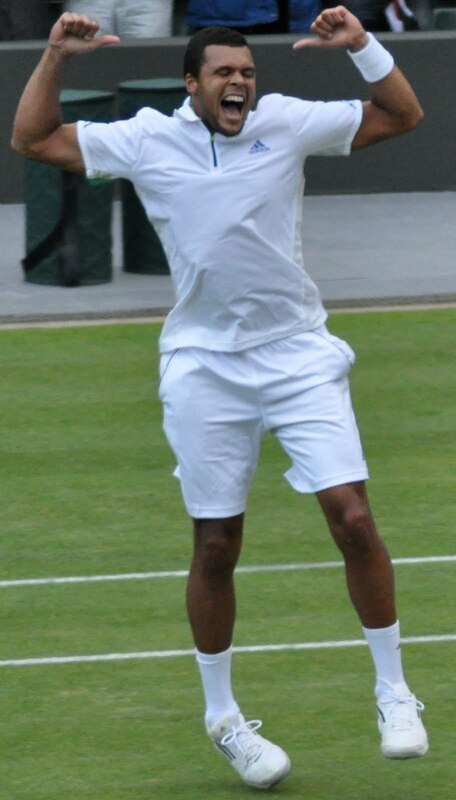 June 25, 2013 in Gulbis, Tsonga, Wimbledon. It was a bloody Wednesday :-PMoo you explanations for these withdrawals ? The grass is too slippery and the players do not want to get hurt ?